Something that has always weighed heavy on me for my business is the fact that I capture images for a family, then they only get to keep some images unless they upgrade for the full digital package. 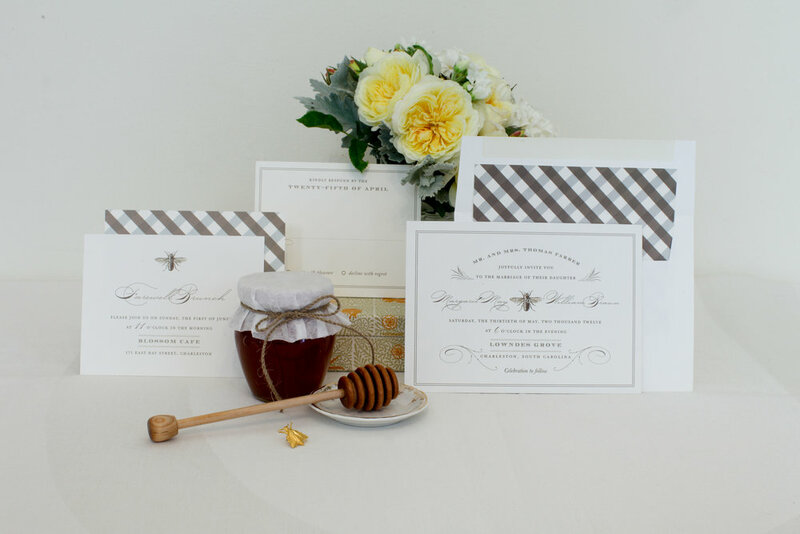 It wasn't that I wanted to be stingy, it was that I could not figure out a way that I could price packages to include the digital files and a print credit, while still staying in business. As a parent, I understood the desire to keep all of the images. It is really, really hard to see an image of your child and not have possession of that image. It is a tease, really. Clients would invest with me, and they knew of course what was included in their package, but what they didn't know was exactly what we'd capture at the session. They didn't know that Little Johnny would be so adorable or they didn't know the feeling they would get when they actually saw (gasp!) themselves in the image..and like it! There was a part of me that always felt like I was holding images ransom, but I simply did not know how to give the images and stay in business. The other part that is important to me is clients having images printed. Yes, tangible prints or canvases that they can see when they walk in their front door or arrive to their office. I include print credits because, in this digital age, printing has gone by the wayside. Clients invest with me and then have nothing to show for it but some digital files that are collecting virtual dust on their hard drive, which I feel is a disservice to my clients. We all have intentions of creating something that displays memories of our family...whether it be a baby album or a wall collage...but the print credit ensures that I have delivered an actual tangible product to my clients. And then...it hit me. I had an aha moment that I hope allows all of us to be happier, more satisfied individuals. I have created simple, easy-to-understand packages that include ALL of the edited digital files PLUS a significant print credit. I have heard prospects and clients ask over and over for the digital files and I am finally able to give them to you in one, all-inclusive simple price. I am THRILLED to not have to make clients choose...and I am THRILLED that they can now enjoy each and every image from their gallery, whether it be on their AppleTV or on a huge canvas or sharing with friends on Facebook. I feel a big sense of relief in coming to this new conclusion! I hope you enjoy now having ALL edited images from your session...I look forward to capturing each and every one. Click here for a look at 2013 Pricing. If you're like me, the hunt for a fabulous baby gift is endless (and often stressful). I hesitated to share this, but I LOVE her work so much, I can't help but share with others! 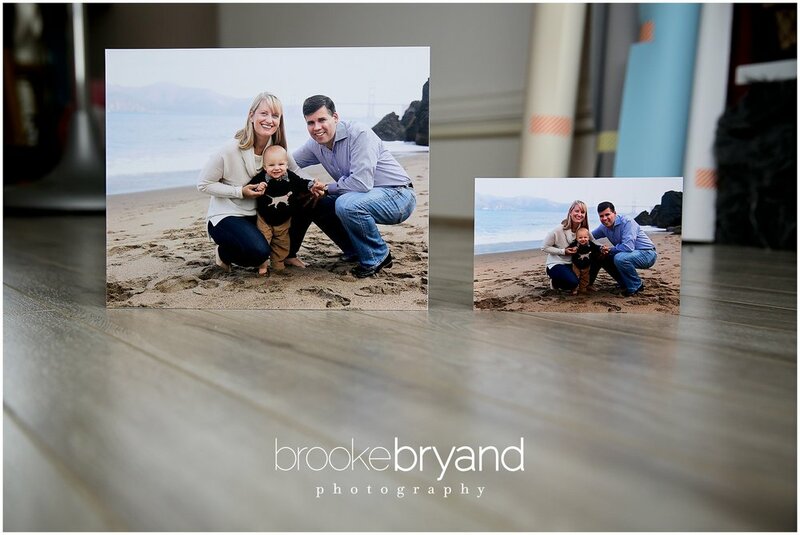 Here are just two images that I shot of some samples Tara sent me. How COOL and PERFECT are these as baby gifts?? Now go...Pin it...and wait for your new mama friends to thank you. Ummm, I'm on Pinterest! And now Etsy too! I made a photo collage canvas for my nephew Riggs and then for my son Cal about a year ago. I did a blog post about the final product and created them thinking they'd be perfect for clients, especially to put together a "1st year collage" of all their shoots with me. Then the "Cal Canvas" got PINNED on Pinterest (check it out on the link) and WOW. Aside from having crazy web-traffic, I've had countless inquiries into the sale of either a canvas or the digital file for the canvas. I would love to share this design with more people, so (thanks to my bestie giving me a nudge) I created an Etsy shop where people can view various canvas options and send me their photos so I can design a canvas just for them. I'm adding more collages...I just did two this week. Here is one of them for my niece, Ella. We did a "cake smash session" for her First Birthday and it was AWESOME!!! And here is a "baby parts" canvas I did for a client...look at those little fingers and toes - I love it! Check out the Etsy shop for full details! This is such a difficult question and one that I am asked several times a week from friends, clients, and strangers alike. People know their cell phone camera and point-and-shoot cameras aren't cutting it to take pictures of their lightning-speed kiddos, but aren't sure which "big camera" to purchase that will give them the results they want without putting them in the poor house and the camera becoming a dinosaur before it even arrives in the mail. 1) "Nikon or Canon? Nikon or Canon?? ": Let me start by saying I'm a Canon girl through-and-through. I use Nikons in my 101 Workshops, but I truly can't speak to which body is better than any other. What I can say is that my professional photographer friends who shoot Nikon are beyond pleased and I'm sure whatever Nikon you choose will be fantastic. Having said that, I can only recommend Canon because that is all I have experienced. It's not to say that whatever Nikon you have or are considering isn't equally fantastic. 2) "Which Canon should I buy?" Check out this YouTube about Canon Rebel comparisons and note that the big take-away is that if you don't care about video (you'll use your cell phone, your point-and-shoot, your Flip, etc. to capture video), you might as well save some money and get the Canon Rebel Xsi. 3) What about the lens? I want the blur": "Blur" is actually called "bokeh" and you get that effect with shallow depths of field (an entirely different blog post and part of my 101 workshop) When you decide which body to purchase, ignore the lens they sell with the body. It's usually a 3.5 or even 5.6 and won't give you the "blur" that you would like in portrait photographs. In fact, if you can buy a body without a lens, do it. Put that money toward the Canon EF 50mm f/1.8 II Camera Lens...nicknamed the "nifty 50" because it's an awesome lens for right around $100. Buy the $5 Tiffen 52mm UV Protection Filter too (protects the lens from dust/dirt/fingerprints). I can say that whatever camera you decide on is going to be a huge, humongous, awesome improvement. What you'll notice quickly is that babies...even little ones...are FAST little guys! They blink, they rock the "startle reflex" (where they jerk their arm up for no good reason and scare you half to death), they turn their heads at the wrong time, etc. etc. etc. A point-and-shoot, even the latest-and-greatest ones...just aren't going to cut it. You need a DSLR (like the ones you're looking at, or even a lesser version) to get those moments. Good luck in your quest and don't hesitate to contact me with questions. I feel like I need to put a doctor's statement here that the views and opinions expressed here are mine only. Brooke Bryand/Brooke Bryand Photography can not be held liable for the photography items you purchase. Most importantly - GET OUT THERE AND START SHOOTING!